Microsoft had more news than they could fit in their press briefing, announcing an on-demand download gaming service during a post-briefing lunch. Microsoft points not required. Xbox Live's Marc Whitten announced that, starting in August, Xbox 360 owners will be able to download full Xbox 360 games. 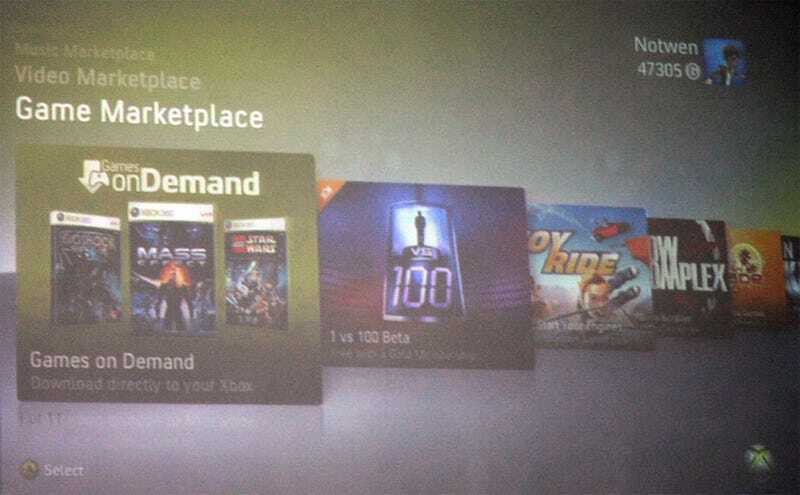 Titles shown in a dashboard mock-up included Assassin's Creed, Mass Effect, BioWare, LEGO Star Wars and Oblivion. New games will be offered each week. Microsoft points will not be required, as the service will support credit card purchases. Whitten declined to say how closely the games will be released to regular retail releases. Prices were not announced.